Sven Väth has announced an all-star line-up for Cocoon’s first Ibiza season at clubbing institution Pacha. Nina Kraviz, Adam Beyer and Roman Flügel are just some of the names revealed on the impressive line-up which also includes Canadian big-hitter Richie Hawtin, German DJ/producer Solomun and rising talent Peggy Gou. 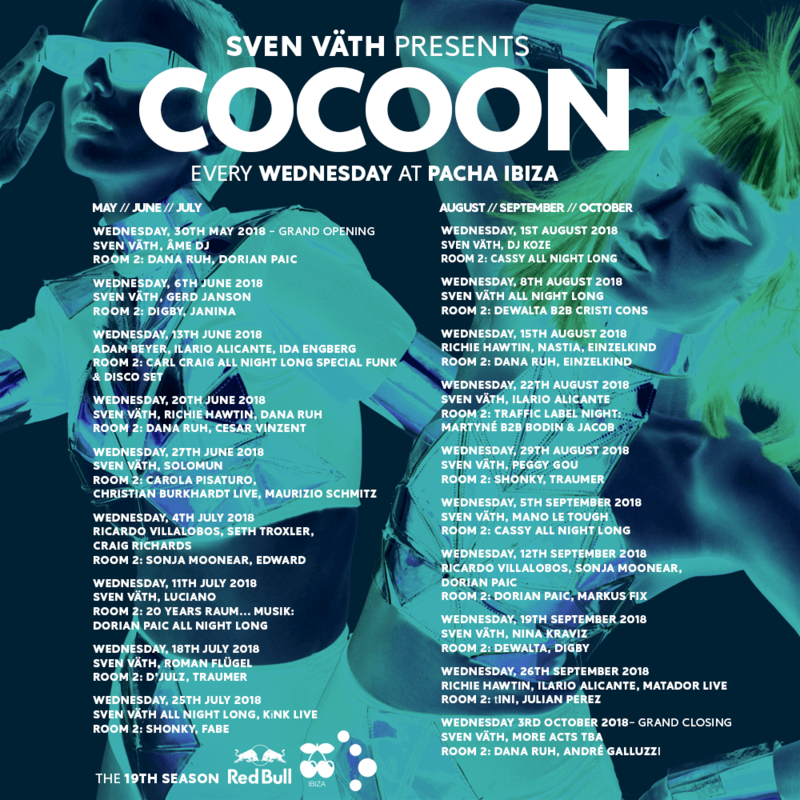 Sven Väth Presents Cocoon runs for 18 Wednesdays from 30th May to 3rd October at the newly-refurbished Pacha Ibiza. The series will come to a end with a Grand Closing party featuring an as yet unannounced line-up. Cocoon recently announced it would move from its two-decade-long residency at Amnesia to Pacha, joining nights from Solomun, F**K ME I'M FAMOUS, Flower Power and many more. Check out what happened when Cocoon boss Solomun went back-to-back with Solomun at Pacha last season here. See the full list of shows below for Cocoon's 2018 Ibiza season.